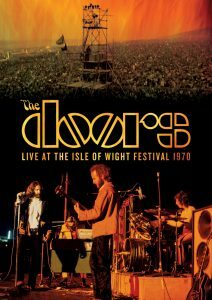 CameronLife has provided one of our 1970 Isle of Wight Festival images for the cover of the Doors soon to be released DVD. The DVD is available from 23rd February and shows the historic last concert ever filmed of The Doors. The concert was meticulously restored via the latest 21st century technology, colour-corrected, visually upgrading the original footage. Follow the link below to see our other Doors images.